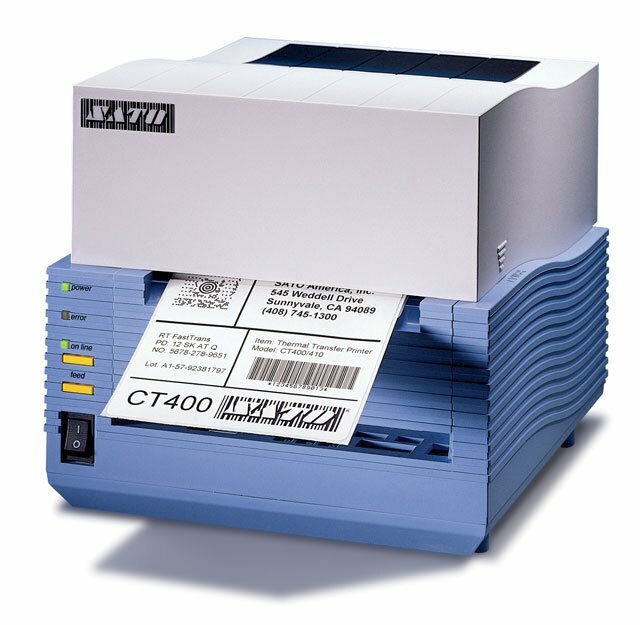 SATO CT400 - Thermal transfer, 203 dpi, 6 ips, 4.1" print width, parallel interface, 8MB SRAM & 2MB Flash. Includes US power cord. Order cables separately. See accessories. The CT400 series printers feature unparalleled processing speed and power, as well as rugged construction, making them ideal for a wide range of labeling applications. The CT400 printers continue the SATO tradition of designing high quality, high performance thermal barcode printers. SATO's CT400 printers also provide built-in ability to print all popular linear and 2D symbologies, including Micro PDF417 and QR code, on labels 4.1" wide. The CT400 prints at 203 dpi at speeds of up to 6 ips. Maximum Label Roll Diameter: 4.4"
Wireless 802.11b/g plug-in interface card (Factory installed). 3" x 2" Thermal transfer polypropylene label. 850 labels/roll, 4 roll case. New Equipment, On-site Next Business Day. New Equipment, On-site Standard (2 business days).